(NaturalNews) The threat of being subjected to a government sugar tax is prompting British beverage manufacturers to reduce sugar content by more than 50 percent in their products. British supermarket chain Tesco recently announced it will cut sugar levels in all 251 of its soft drink products to less than 5 grams per 100 ml – under the limit at which the levy will apply when it goes into effect in 2018. Following Tesco's example, the maker of two popular British drink brands, Lucozade and Ribena, has just announced that it too will reduce the amount of sugar in all of its drinks to avoid the tax. Lucozade Ribena Suntory (LRS) plans to lower the sugar content in its products to less than 4.5 grams of sugar per 100 ml – a "brave and courageous" move, according to LRS chief operating officer Peter Harding. "Today's announcement is a game-changer for our business and for those people who love and enjoy our drinks," he said. "The world has changed, with consumers now wanting healthier drinks and more action from the brands they regularly enjoy." Although some LRS beverages already contain less than the taxable amount of sugar – Lucozade Sport, for example, contains 3.6 grams of sugar per 100 ml – other products have lots of sugar. "Currently, Lucozade Energy Orange contains 13g of sugar per 100ml, while Ribena Blackcurrant has 10g over the same measurement. "Orangina also has 10g of sugar per 100ml, while V Energy contains 11.2g." 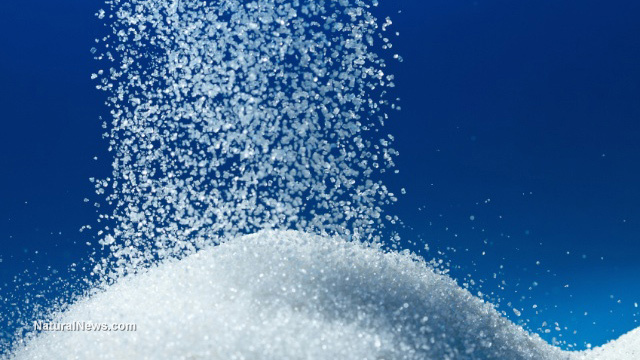 The sugar reduction plans by Tesco and LRS have been applauded by British health officials – regarding the LRS announcement, health secretary Jeremy Hunt said: "It's action that proves taking added sugar out of drinks is both possible and meets the expectations of many consumers." Will the sugar tax really make a difference? In cutting sugar content, beverage makers will avoid the roughly 25p per can levy, but the industry faces a challenge in terms of making sure the drinks still taste good enough to attract consumers. There's also a potential loophole for soft drink makers – under the new guidelines, fruit drinks will be exempted from the tax, despite the fact that they often contain high amounts of natural sugars that can also contribute to obesity. This exemption may tempt beverage makers to add fruit content to their products to keep them tasting sweet while avoiding the tax. "The consultation document on the soft drinks levy says 'the legal definition of "added sugars" used for the levy should exclude fruit juice, fruit puree, and fruit juice concentrate'. That leaves it open to soft drinks manufacturers to add extra fruit to boost the sweetness of their drink." Although the sugar levy appears to be having the intended effect, health experts say that much more needs to be done in terms of tackling obesity. The Obesity Health Alliance, a group dedicated to fighting Britain's obesity epidemic, warns that reformulation of soft drink content is not enough. In a statement, the group pointed out the fact that more than one-fifth of British children are obese or overweight by the time they reach primary school, and a third by the the time they enter year six of school. Reducing sugar in soft drinks is only one of the measures needed to challenge the "obesogenic environment" that modern children grow up in. Other experts concur – Professor Russell Viner at the Royal College of Paediatrics and Child Health agrees that reformulation is just one step towards instituting a "holistic approach" in addressing the obesity epidemic. One of the presumed benefits of the sugar tax is the simple fact that it makes the public more aware of the obesity issue and how products such as sugary drinks contribute to the problem.